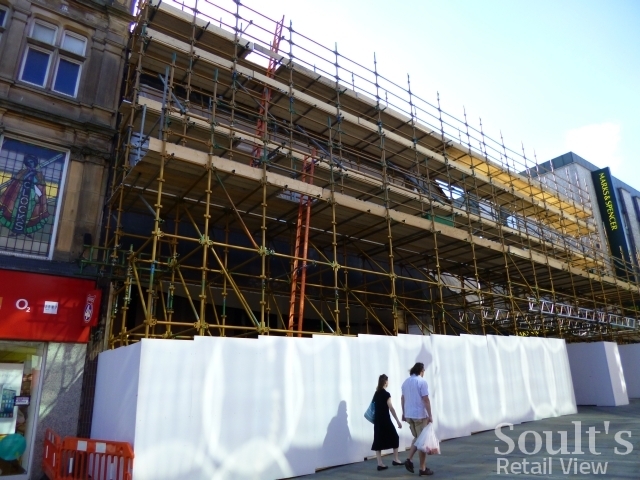 I understand that Gateshead’s Metrocentre is to gain its first Intu-branded external signage overnight tonight (11 July), ahead of a weekend of celebrations to mark the ‘official launch’ of Intu Metrocentre. 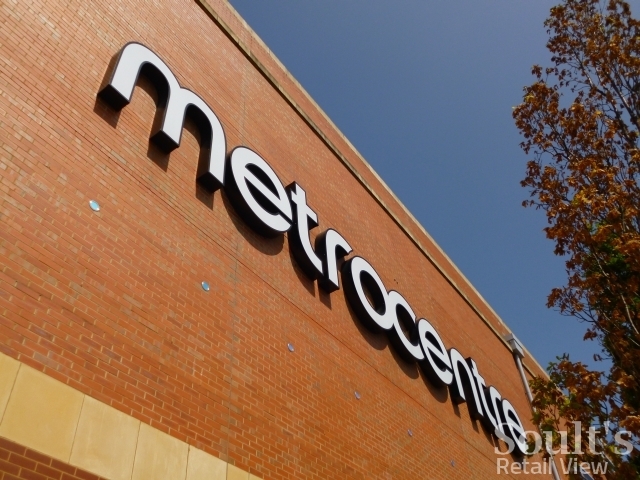 Metrocentre owner Capital Shopping Centres plc announced in January that it would be rebranding the company as Intu Properties plc – styled and, annoyingly from a grammar pedant point of view, generally written with a lower case ‘i’ – as well as introducing Intu as a national, customer-facing brand across its 12 non-joint-venture shopping centres. 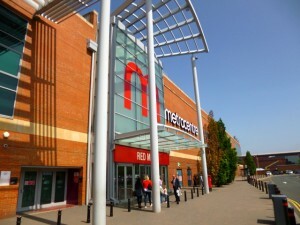 Hence, Metrocentre and Eldon Square, in Newcastle, would become Intu Metrocentre and Intu Eldon Square respectively, while a few centres would see a more radical rebranding: Watford’s Harlequin Shopping Centre becoming Intu Watford, for example. 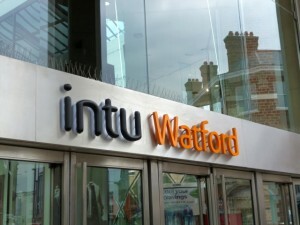 Not surprisingly, the announcement prompted scepticism from retail observers – me included – about whether shoppers would take to the Intu brand, and some criticism of the idea of replacing strong and established individual brands with what appeared, at first glance, to be a somewhat meaningless brand with a rather weak and insipid visual identity. However, making the centres’ common ownership more apparent to shoppers – rather like Westfield does already – with the aim of encouraging people familiar with one Intu centre to visit others, was always a comparatively small part of the Intu strategy. 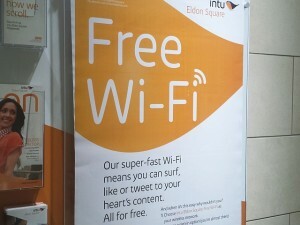 More significant, arguably, was the statement’s embrace of multichannel retail, announcing plans to introduce free wi-fi into all the centres at the same time as launching Intu.co.uk as a fashion-oriented e-commerce site, allowing shoppers to order from a range of Intu retailers, with orders either delivered to an in-centre Click and Collect point or the customer’s home address. 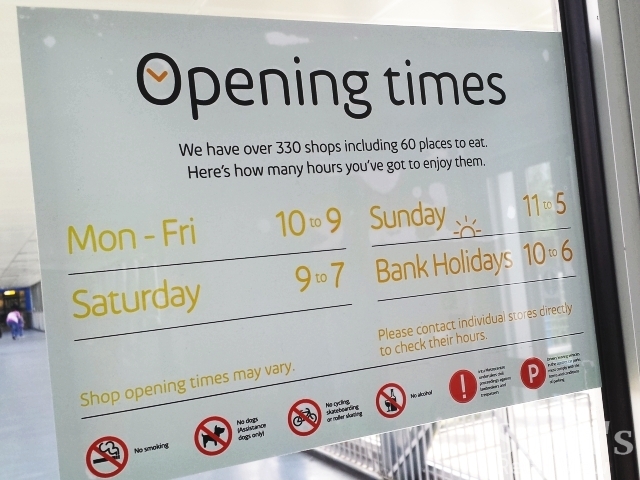 Since the January announcement, the Intu brand has been progressively rolled out across the estate, including on staff uniforms, and on posters and promotional materials – such as hoardings, leaflets, centre maps and gift card machines – within the shopping centres. 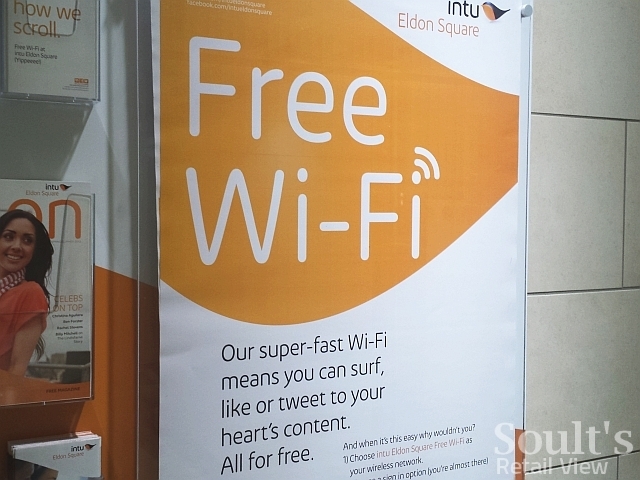 The Intu.co.uk website has also recently launched, while Eldon Square – but not yet Metrocentre – has become one of the first centres to get both free wi-fi and a prominently signposted Click and Collect point. What’s notable is the attempt to make the Intu brand come across as warm and friendly, with a tone of voice across the communications that is chatty, fun, and occasionally cheeky. 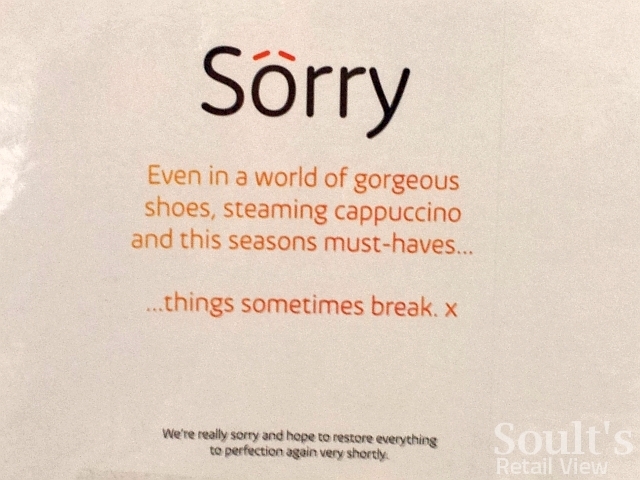 I enjoyed, for example, the notice that I spotted on an out-of-order gift card machine in Eldon Square, turning the problem of a piece of broken kit into something that communicated a positive message. 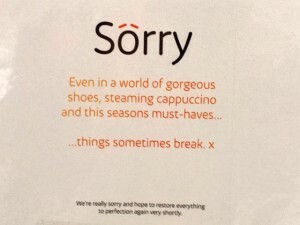 Assuming this messaging is maintained consistently across different media and destinations – and in how individual staff communicate with customers – the Intu brand does start to make sense as something that makes the whole greater than the sum of the parts. 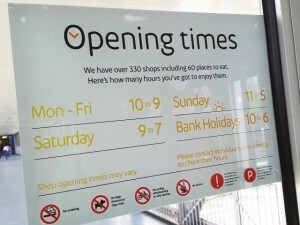 As you’d expect, the one area where Intu-fication is taking a bit longer is the centres’ permanent signage, both inside the malls and externally. Intu Watford, which I visited a few weeks ago, is one of the first to get the Intu treatment throughout – and it is effective, coming across as clean, modern and fresh. 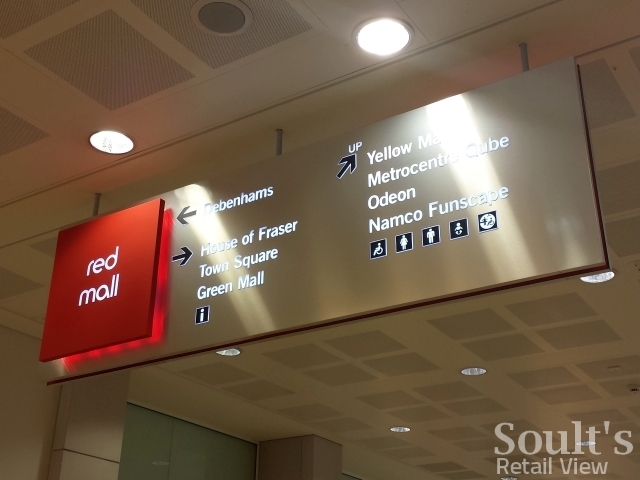 As yet, Eldon Square and Metrocentre both still have their existing internal and external signage, though Eldon Square’s rebranding will presumably coincide with the completion of the new Northumberland Street entrance, which will require new signage anyway. 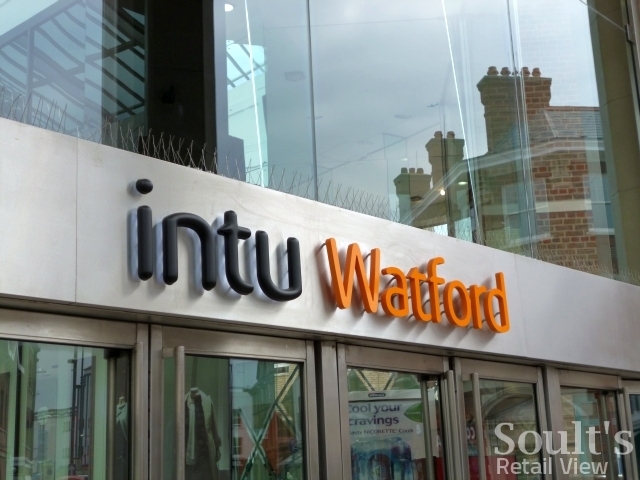 So, despite my initial raised eyebrows, I am starting to warm to the Intu brand now that it’s being implemented and is beginning to assume its own personality. 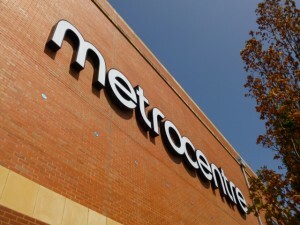 Just don’t expect Geordie shoppers to start saying that they’re “gannin doon Intu Metrocentre” any time soon. Awful concept, awful brand, awful execution. I look forward to it being condemned to the dustbin of history alongside Consignia and Ratners.